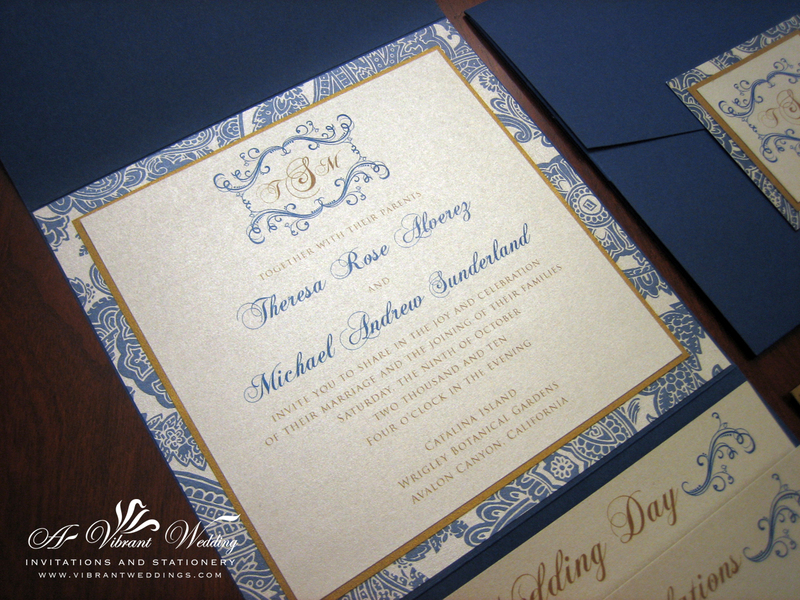 To view our extensive portfolio or to customize your own invitation, please go to www.VibrantWeddings.com or contact us at (619)852-6886. 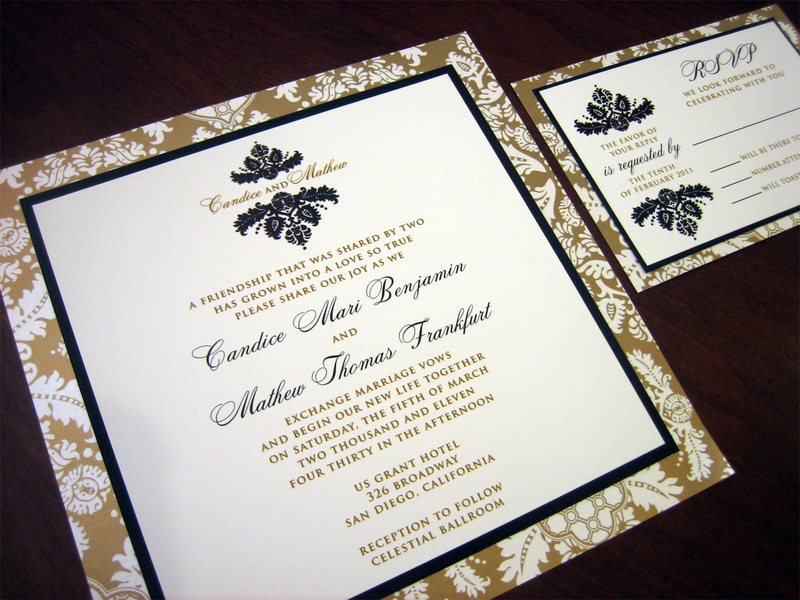 $8.00 per invitation suite for a set of 100 invitation suites. 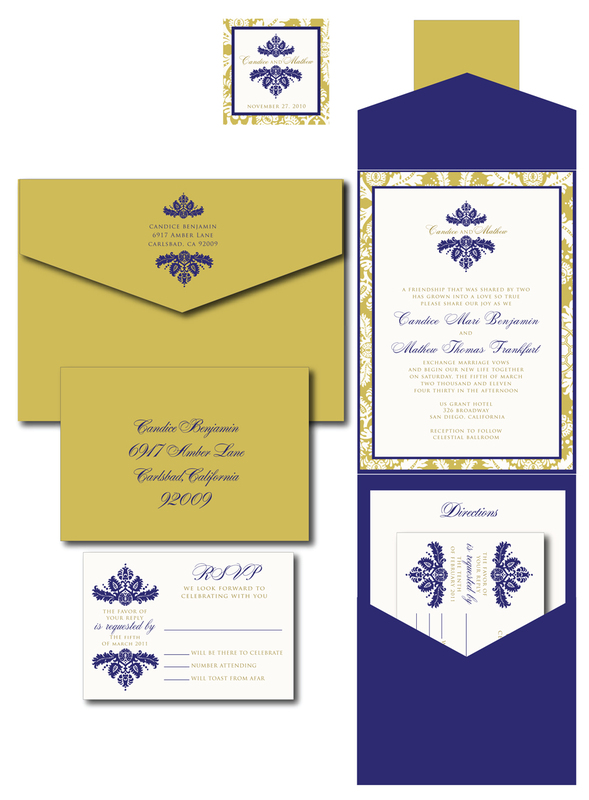 Included are 3-Layered Envelofold invitation, 2-layered Outer Seal, 2-layered Response card and two blank matte linen envelopes (White or Ivory). 5.25×5.25″ Envelofold style with outer seal. All on metallic shimmery card stock paper. Triple layered invitation (3 sheets of paper assembled together). 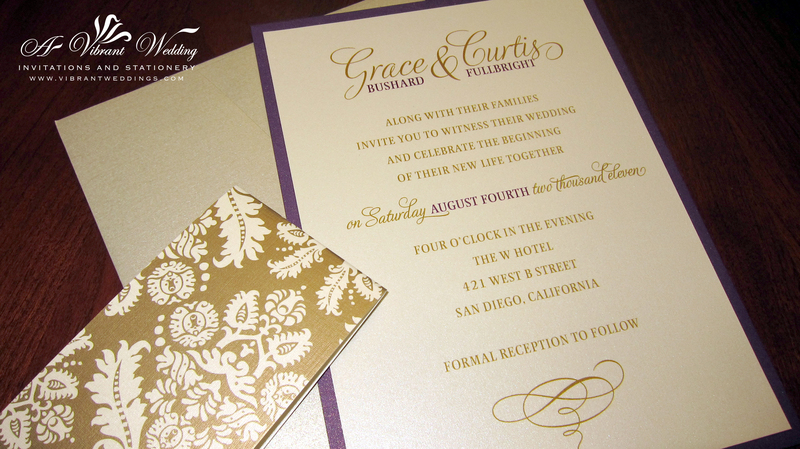 All of our invitations can be customized in color and style of choice. Larger sizes available. 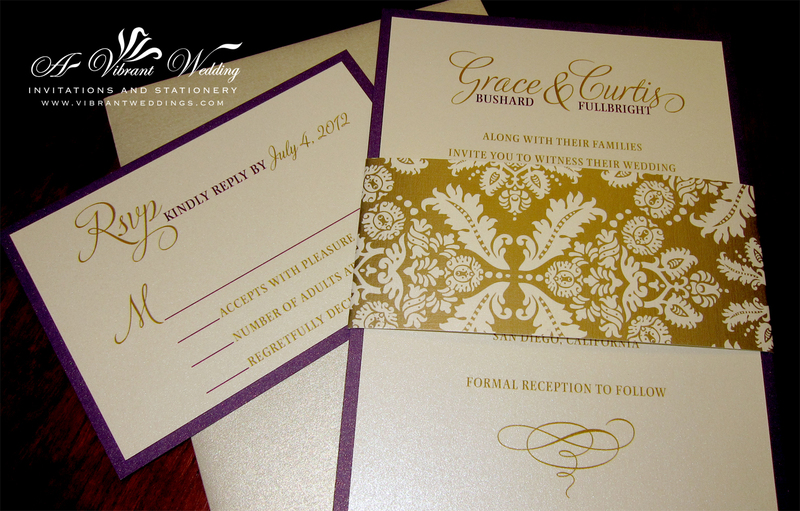 $7.50 per invitation suite for a set of 100 invitation suites. $5.50 per invitation suite without assembly. Included: 3-Layered 7×7″ Invitation (3 sheets of paper glued together), 3-Layered Response card, and two blank matte linen envelopes. 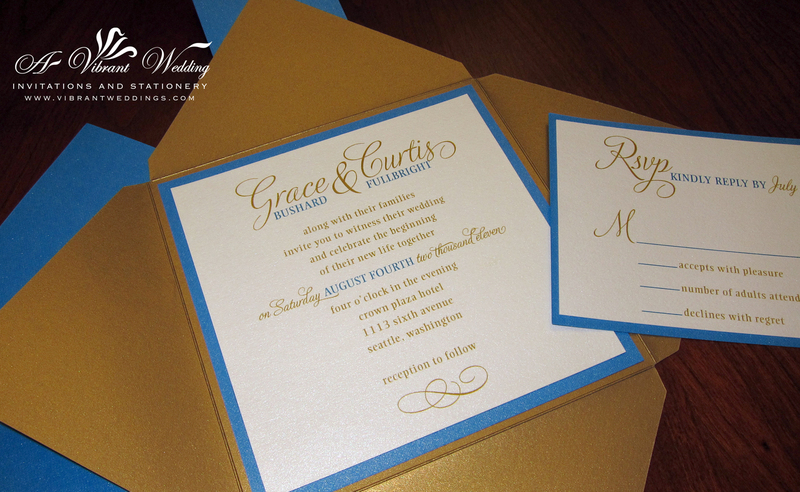 All of our invitations can be customized in color and style of choice. Different sizes available. 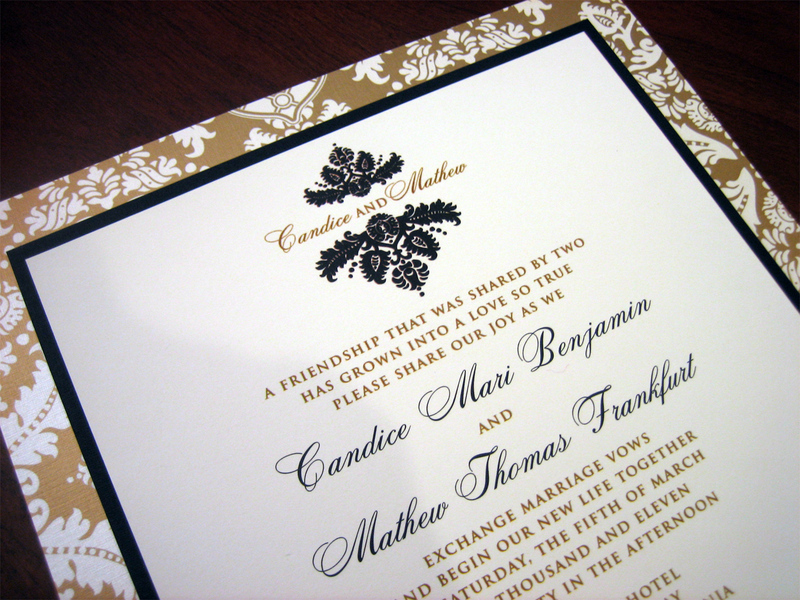 Try a single layered flat style invitation for a less expensive alternative. 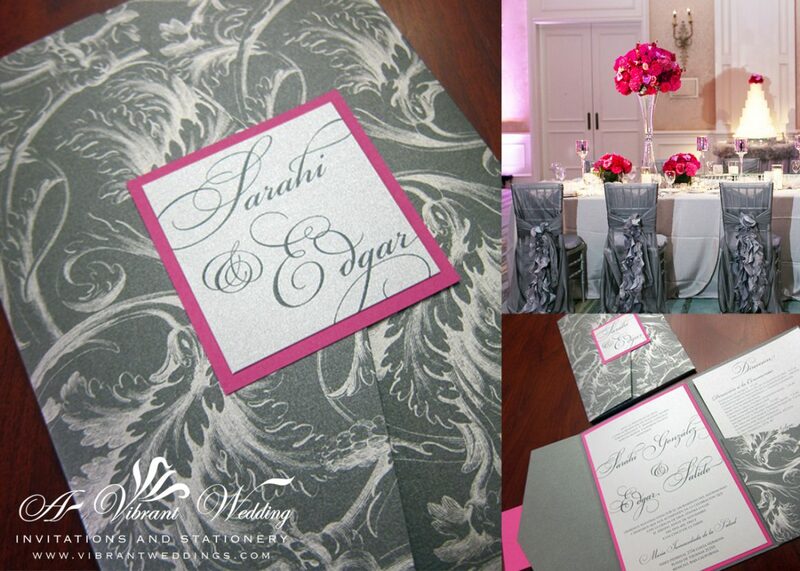 To inquire or customize your own stationery to match your theme and colors, please contact us at http://www.VibrantWeddings.com or (619) 852-6886. $12.00 per invitation suite for a set of 100 invitations. 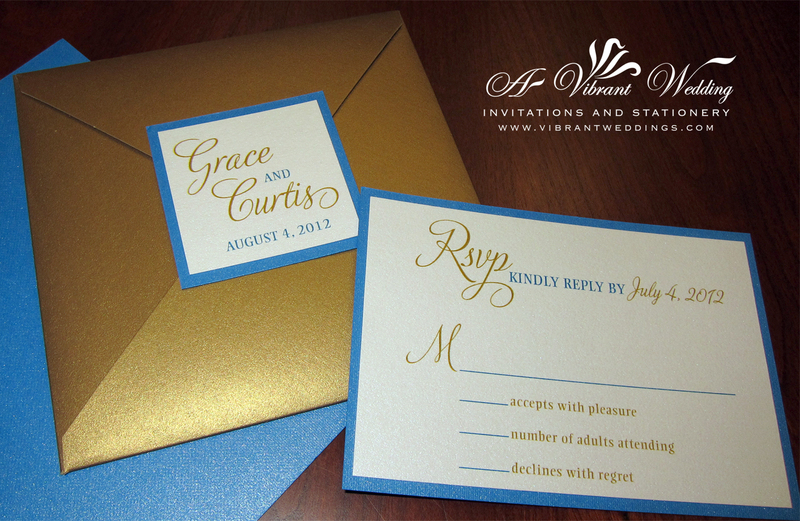 Included are 5.75×5.75″ Pocketfold invitation, Response card, and two blank metallic champagne envelopes. 5.75×5.75″ Pocket fold style with triple-layerd square outer seal. Inside, a triple-layered invitation with a combination of pattern metallic shimmery card stock paper solid metallic card stock paper. Triple layered invitation (3 sheets of paper assembled together). Double-layered response card. All printed on shimmer metallic paper. 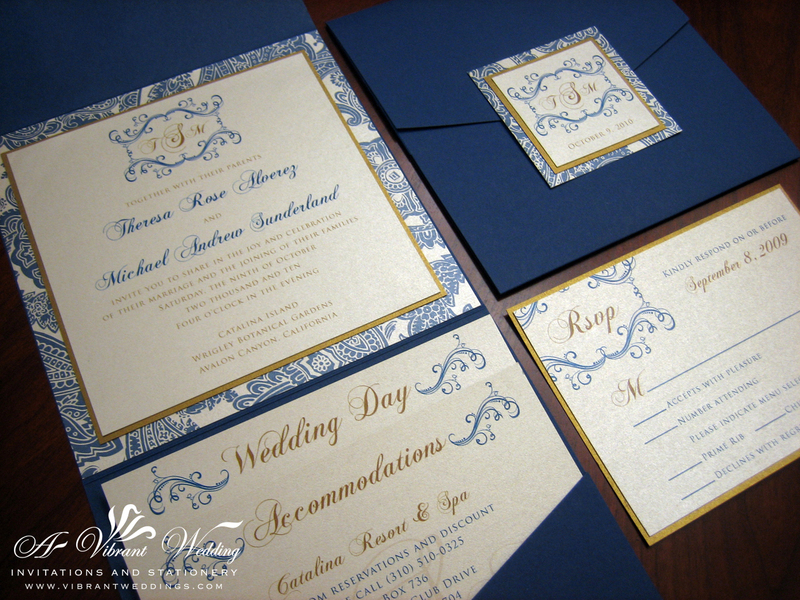 Try a traditional flat style invitation with this same printed design or different design for a less expensive alternative.